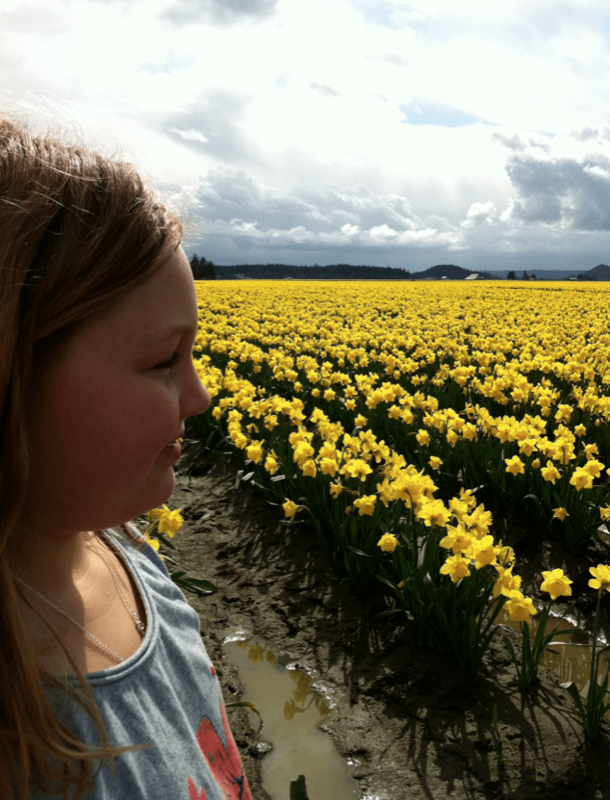 I have to share this amazing field of daffodils with you. It’s in Mount Vernon, Washington, about twenty minutes from the Anacortes Ferry landing. 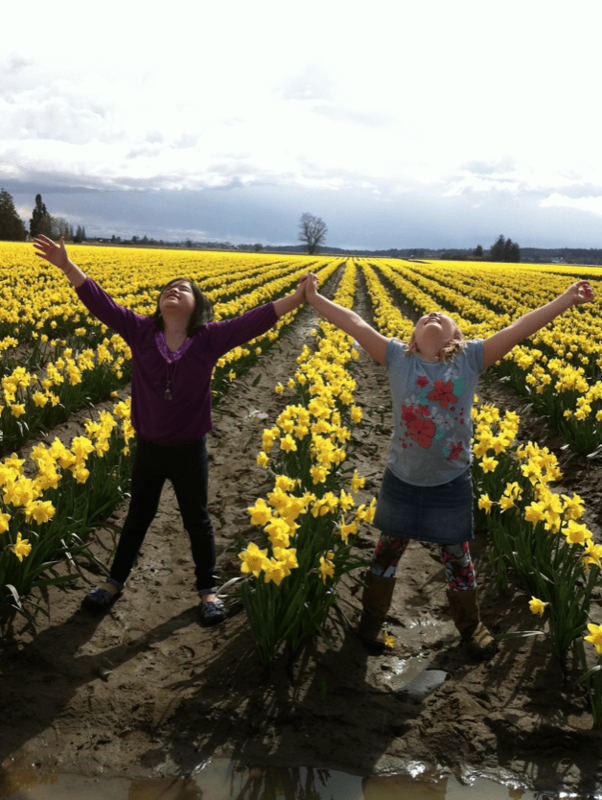 On my daughter’s birthday, after having tea and yummy little sandwiches, we drove by these daffodils. They were nothing short of AMAZING! There had to acres of them, an endless sprawl of yellow that went on past old barns, country roads, and fruit stands. For a good twenty minutes, we were the only people there, soaking up the sun and the smell. What a birthday present. Awe…it’s good to be nine!